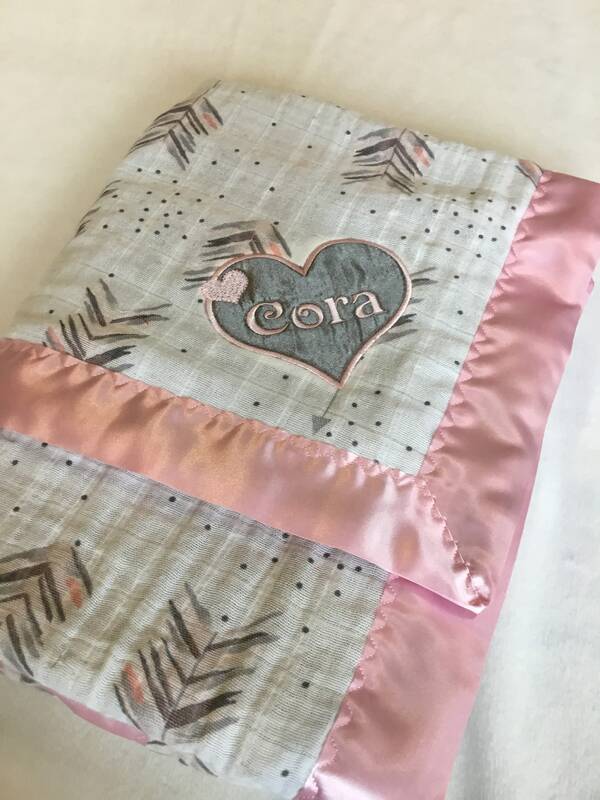 Arrow Baby blanket, muslin front, back with datk grey plush Minky fabric, approximately 30x40 boader with pink silky fabric. 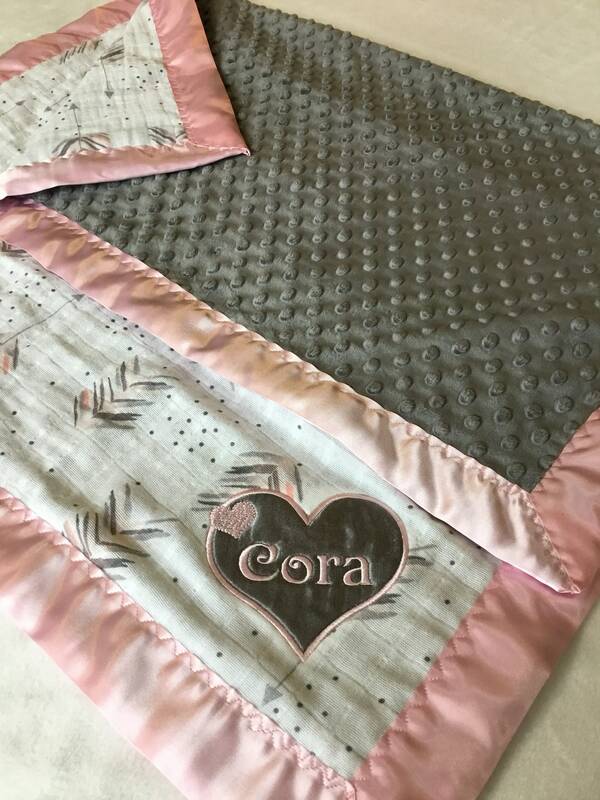 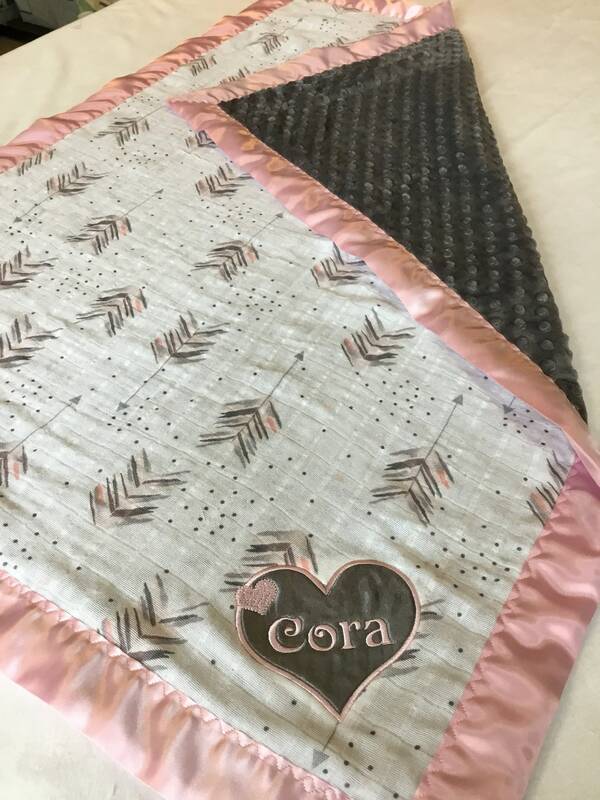 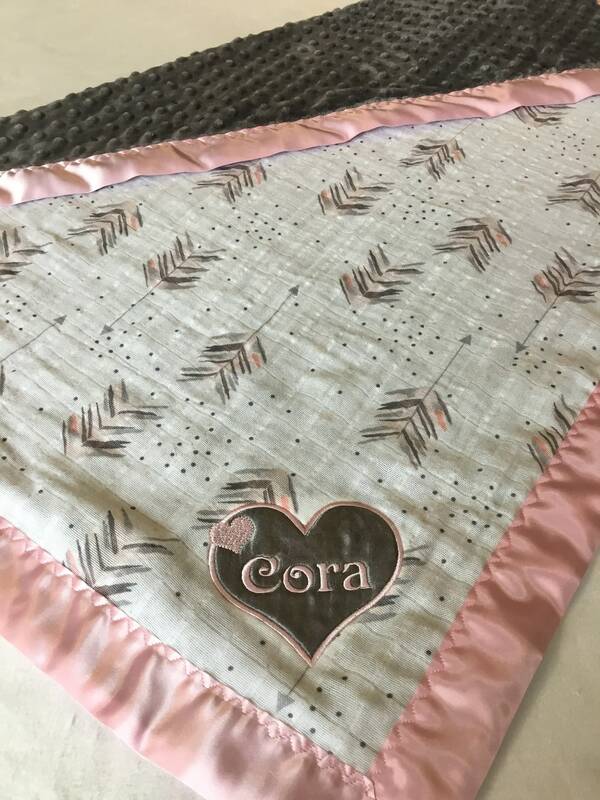 Arrow Baby blanket, muslin front, back with dark grey plush Minky fabric, approximately 30x40 boader with pink silky fabric. 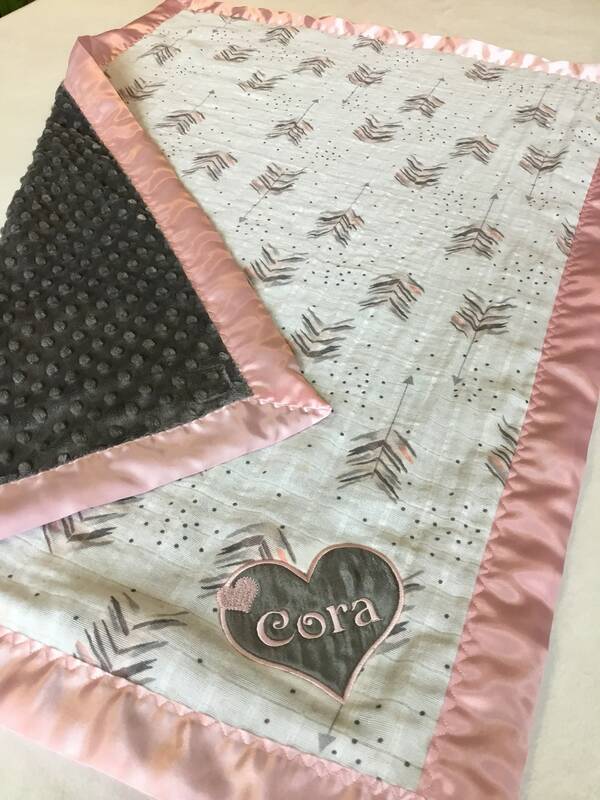 These blankets are made with the softest of materials! 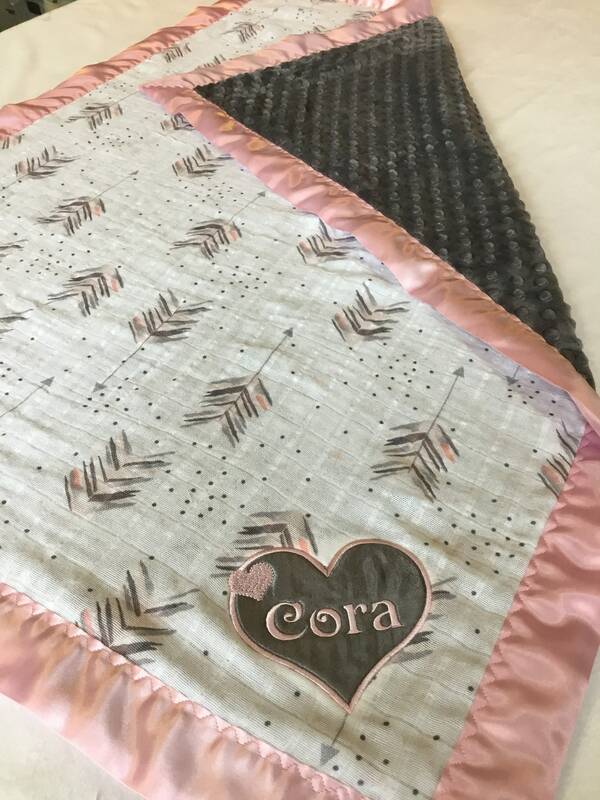 Most of my blankets come in different sizes. 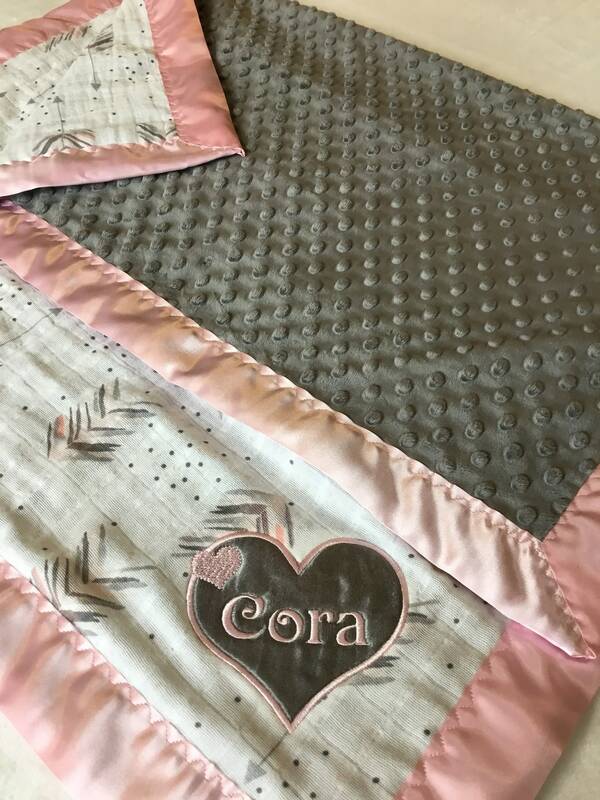 Custom embroidery can be added.